Maryland is a mid-Atlantic state with a population of just over six million people, bordered by Washington DC, Philadelphia, and Delaware. Known for its waterways and coasts on the Chesapeake Bay and the Atlantic Ocean, Maryland is a state bustling with a broad diversity of people and careers. The capital city of Baltimore has long been a well-known and significant seaport, and home to the national aquarium, one of the country's foremost displays of thousands of sea creatures. Maryland is one of the top five states leading the country in opioid overdose deaths, and the rate of Maryland residents dying from opioid overdoses far exceeds the death rate from fatal car accidents and alcohol-related deaths combined. Maryland has seen a sharp increase in its death rate from opioids and from alcohol, especially since 2015, according to the Maryland Behavioral Health Administration. The department's 2017 report cites the continuation of a six-year increase in alcohol-related intoxication deaths. The 2016 alcohol-related death rate in Maryland reached 2,089, which represents a 66-percent increase and the largest single-year increase on record. The increased alcohol-related death rate is connected to the opioid epidemic in Maryland, as the state's behavioral health administration reports approximately half of the alcohol-related deaths in 2016 occurred in combination with heroin or fentanyl. But the opioid crisis in Maryland has had the most damaging effect in the state as a whole, with opioids or heroin involved in 89 percent of intoxication deaths in 2016. The National Institute on Drug Abuse (NIDA) reports that the death rate in Maryland has consistently been above the national average since 1999, but in 2016 the opioid overdose death rate was more than double the national rate. Maryland lost 30 residents for every 100,000 due to opioid overdose death, while the national average was 13.3 per 100,000. NIDA also reports that in 2016, synthetic opioids like fentanyl were involved in 650 of a total 1,821 deaths. Overdose deaths involving heroin rose from 52 to 812 over the period from 2012 to 2016. Addiction treatment admissions in Maryland may be one of the starkest indicators of the massive opioid crisis in the state. According to the Treatment Episode Data Set (TEDS), a staggering 66 percent of all addiction treatment admissions in Maryland in 2016 were for heroin or other opioids, more than 3.5 times the admissions for alcohol as a primary and secondary drug combined. 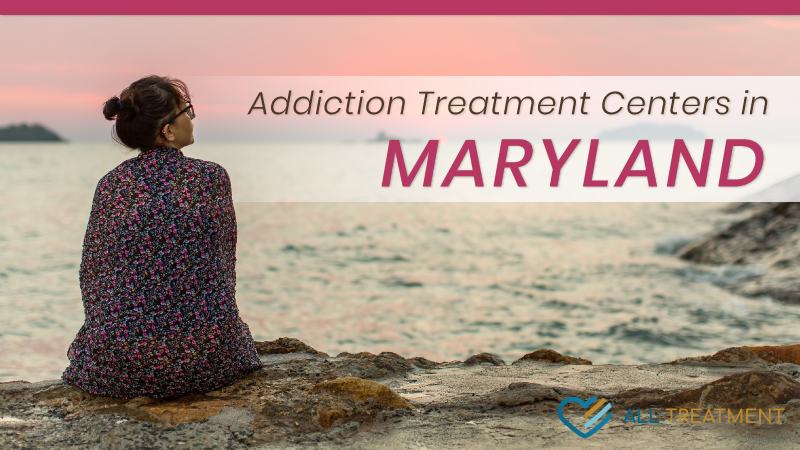 Considering the enormous opioid burden facing Maryland, addiction treatment options are vast and must be able to accommodate the needs of the diverse population of the state. Check Your Insurance Coverage For Addiction Treatment - Most insurances will cover treatment. How To Get into Rehab without Paying For it. Free Rehab. DOWNLOAD GUIDE.